The holiday countdown begins and now’s the perfect time to stay trim with Skimble and TRX. Create a home gym this winter with a TRX Suspension Training Pro Pack. TRX Suspension Training leverages your own bodyweight to build power, balance, core strength and flexibility for people of all fitness levels. Each day in Dec 2010 that you track at least one activity or workout on Skimble, you earn one contest entry. At the end of the month, winners are randomly chosen from these entries. Each winner receives a a TRX Pro Pack + Door Anchor, MSRP 199.95 USD. Details here. I had never heard of TRX nor did I know that the TRX training center existed in the easily accessible neighborhood of Russian Hill in San Francisco. On Friday, my boyfriend Sameer and I arrived to meet Nicole, who helped us get set up in the center and introduced us to the trainer, Charles. Charles provided us with a 10-15 minutes overview of the class and quickly taught us how to use the suspension training system. This short introduction proved to be very helpful once the other students were there and the class began. We spoke with Charles and Nicole for a few minutes before the class started, discussing how they came into the TRX family. 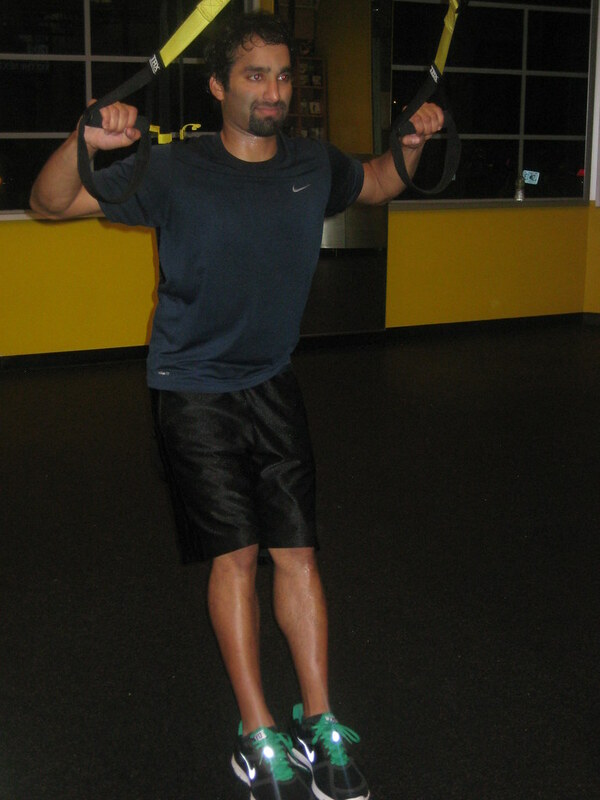 Charles let us know that he had been hoping to become a personal trainer and came upon TRX. After doing some classes, he became hooked early on. He sought out the founder of Fitness Anywhere, which led him to his current place in the company. Nicole let us know that she began with the company way back in 2007, when there was only a staff of 7. 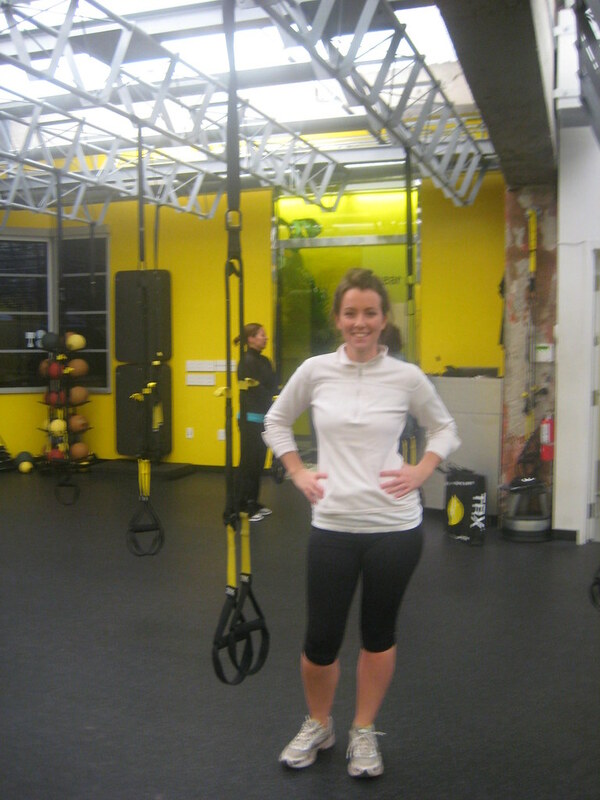 The TRX family now includes a training facility in Russian Hill and offices downtown. They are also looking for space for another training facility. Randy, the founder, started the program with him and his dog out of his own house. Randy has a background in the Navy, where he gained the kind of physical discipline that drove him to create TRX. 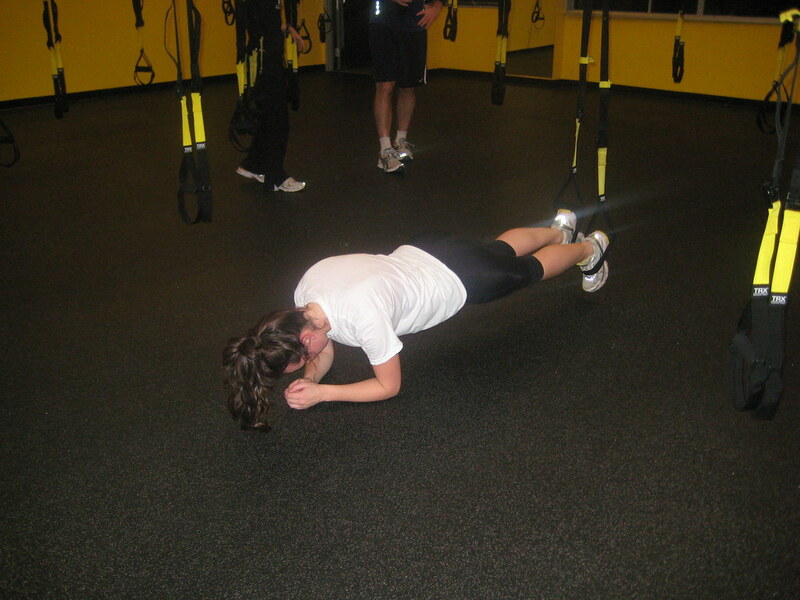 TRX is a fitness training program that uses suspension training. The class that I took was TRX Circuit Training, which incorporates the suspension training with cardio to provide a full-body workout. The class was amazing. I thought that it was a very different way to think of exercise than I am used to – the integration of core strengthening on a platform that I never used before and a cardio workout really helped me feel (and know!) that I got an amazing workout. This is proven by how sore my body was for the next three days! The suspension ropes are easy to pick up. I think that if I took just a couple more classes, I could get a way better hang of them so that I feel more comfortable with how to use them and how they are supposed to feel. On the other hand, they were not at all difficult to use and the fact that it was my first class did not prohibit my workout in any way. My favorite thing about TRX is that it really provided a full-body workout. When I say that I was sore, I mean that literally it felt like every muscle in my body was sore. I felt like I had worked out every muscle and had a great cardio session too. It kept me sweating the whole time and that’s how I like my workouts. I also really liked the trainer. Charles (pictured above left) provided us with all the help that we needed without making us feel like goofs since we didn’t really know what we were getting into. The class was a mix of regular students and people who hadn’t done it before and that was completely fine since everyone can do the exercises at their own pace. It really does make a great holiday present for yourself or a loved one! Be sure to snag 15% off + Free Shipping till 12/16 on TRX systems today! This entry was tagged contest, homegym, skimble, suspensiontraining, trx, win. Bookmark the permalink.